HERIOT’S skipper Keith Morton (pictured) couldn’t disguise his relief after his side shook off the jitters to launch their title defence with a victory over newly promoted RHC Lions. Morton had viewed the north Edinburgh derby at Goldenacre as a potential banana skin tussle. And for parts of the encounter, his fears looked like coming true. He said: “RHC certainly raced out of the blocks and had us in real trouble at 11 for three. “But thankfully Michael Shean and Peter Ross steadied the ship. In the wake of their initial problems, Heriot’s reached 185 for nine, Shean hitting 92 and Ross 35. Captain Joe Kinghorn-Gray was the pick of the visiting attack with four for 46. Shean followed up with three cheap wickets, while new signing Elliot Ruthann also struck three times to send the Lions hurtling to 90 all out. 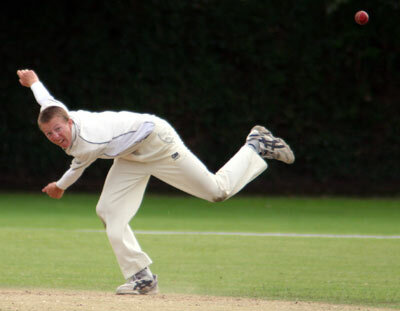 Morton added: “It was a strong display from our attack as Elliot set the tone with aggressive pace bowling. Kinghorn-Gray observed: “It was always going to be a big ask to go to the home of the champions. Sparkling knocks of 78 not out by Preston Mommsen and 51 from pinch-hitting opener Gordon Goudie paved the way for Grange’s 71-run triumph over Aberdeenshire at Raeburn Place. Their efforts propelled the capital outfit to 264 for five before they curbed the Mannofield men to 193 all out. Veteran Neil McCallum took four for 43. Neighbouring Tayside skippers Marc Petrie and Umair Mohammed were also in buoyant mood after guiding Arbroath and Forfarshire respectively to solid opening-day home-turf successes. 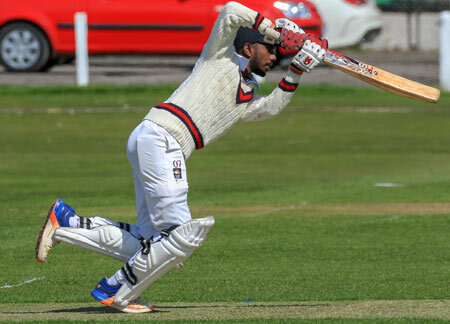 Petrie, whose men were pipped at the post by Heriot’s for the glory last year, was thrilled with the all-round display of new Sri Lankan pro Shanuka Vithanawasam (pictured). He compiled a fine half century then bagged a cheap five-wicket haul to sink Stew-Mel. Petrie stated: “It was aery good start - for him and the team. “He has been brilliant since he arrived in Scotland. “Not only is he a fantastic player, but he’s also bought into the way we do things at the club. “He bowls left arm spin and has a number of skilled variations which is enjoyable to keep wicket to. “I know I’m always in the game and will get catching and stumping chances when he is in action. Vithanawasam hit 51 to guide Arbroath to 222 for seven before sharing eight wickets with Ramsay, skirling Stew-Mel for 91. Craig Wallace thumped 85 and Scott Cameron 59 mot out to propel Forfarshire to their five-wicket victory over Watsonians at Broughty Ferry. Mohammed said: “I was delighted with the result and performance. “It was important to start with a win, especially with everyone contributing. The Glenrothes v Carlton showdown was rained off.